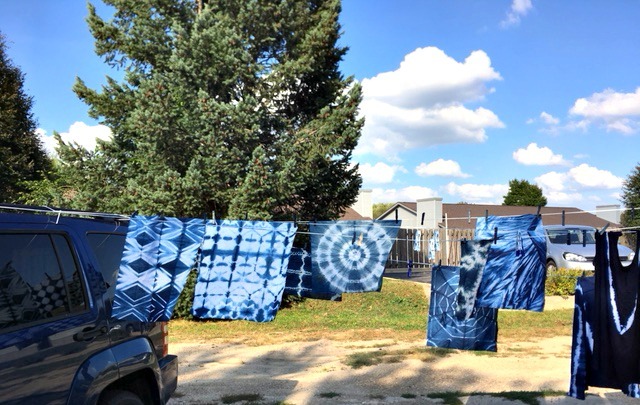 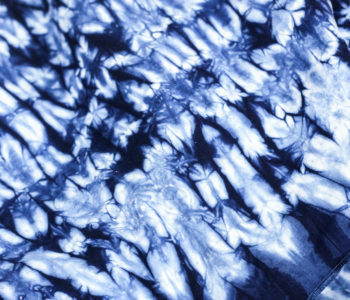 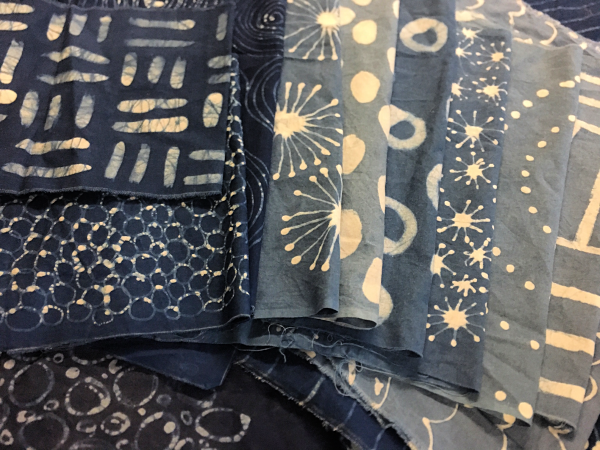 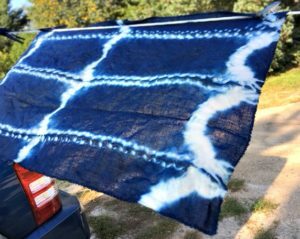 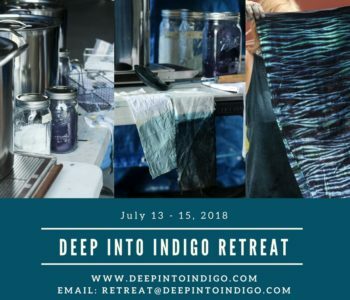  Make some beautifully patterned blue and white fabric using the fundamentals of Japanese Shibori techniques and indigo dyeing. 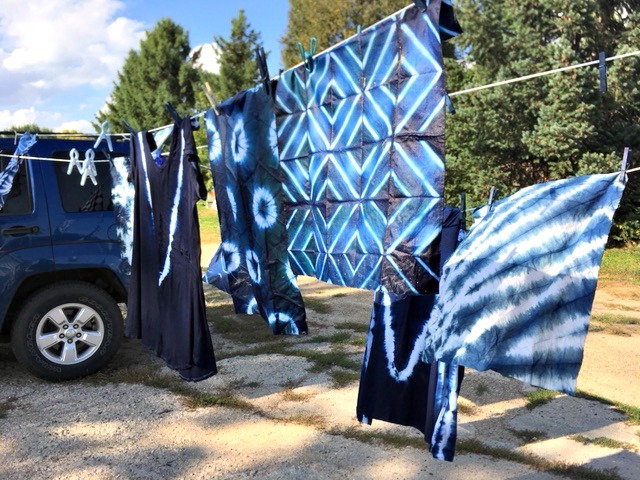 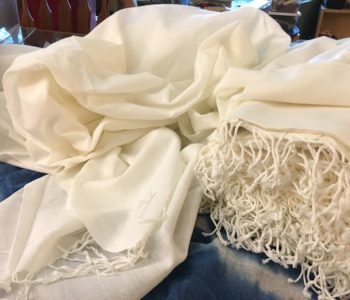 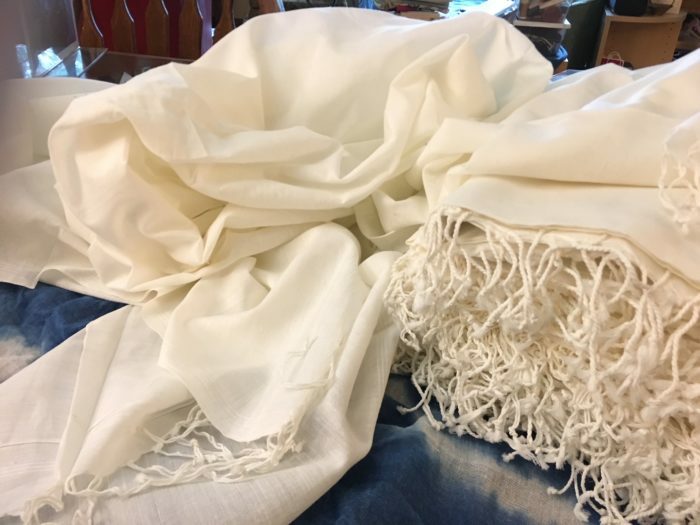 No fabric dyeing experience is required. 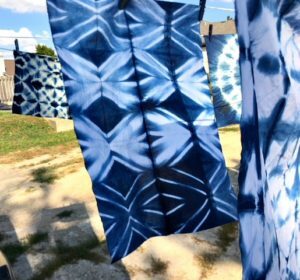 Shibori means to fold, clamp, stitch or in some way block off fabric to create patterns when the fabric is dyed. 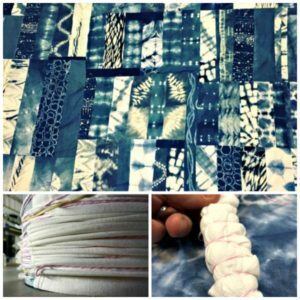 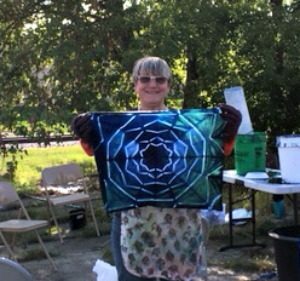 We’ll be experimenting with a variety of shibori techniques to make beautiful patterns. 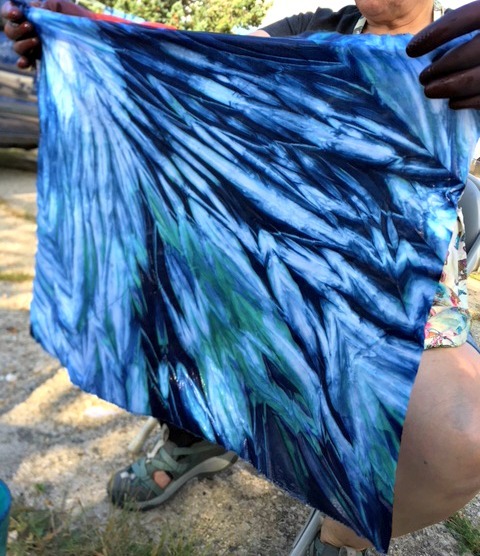 Then, you’ll dye your patterned fabric in an indigo dye vat. 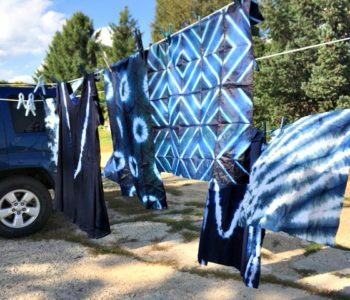 Feel free to bring along a tee shirt (natural fibers only) to dip into the vat. 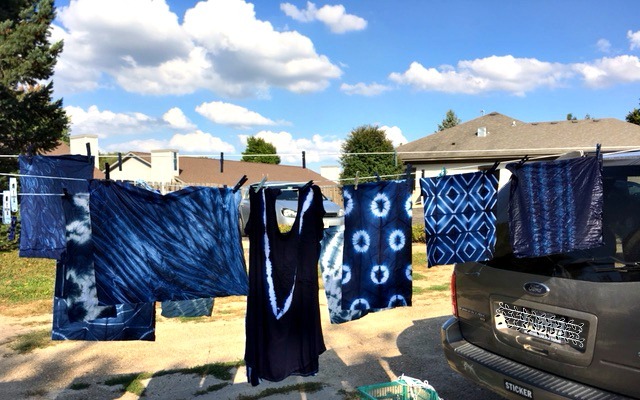 Dress in clothes and shoes that can get stained blue. 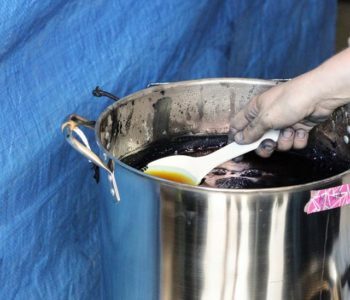 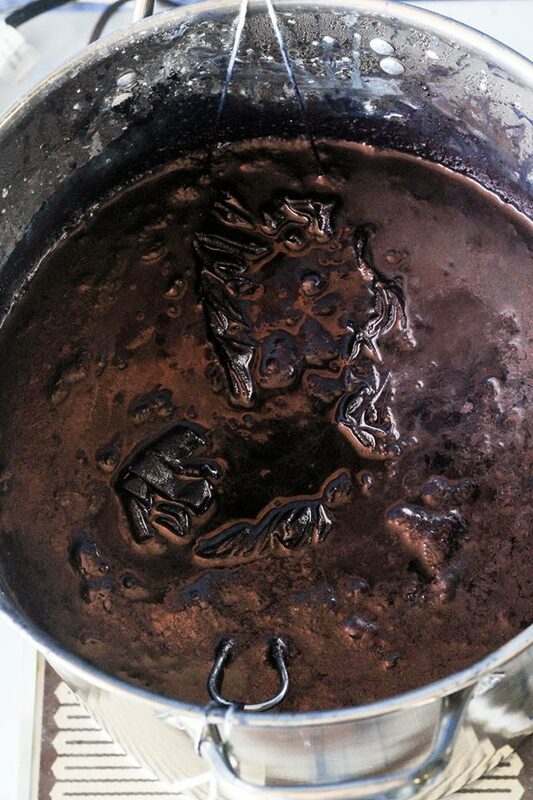 o You’ll get ample time to dye your fabric in an indigo dye vat.